Hello everyone! 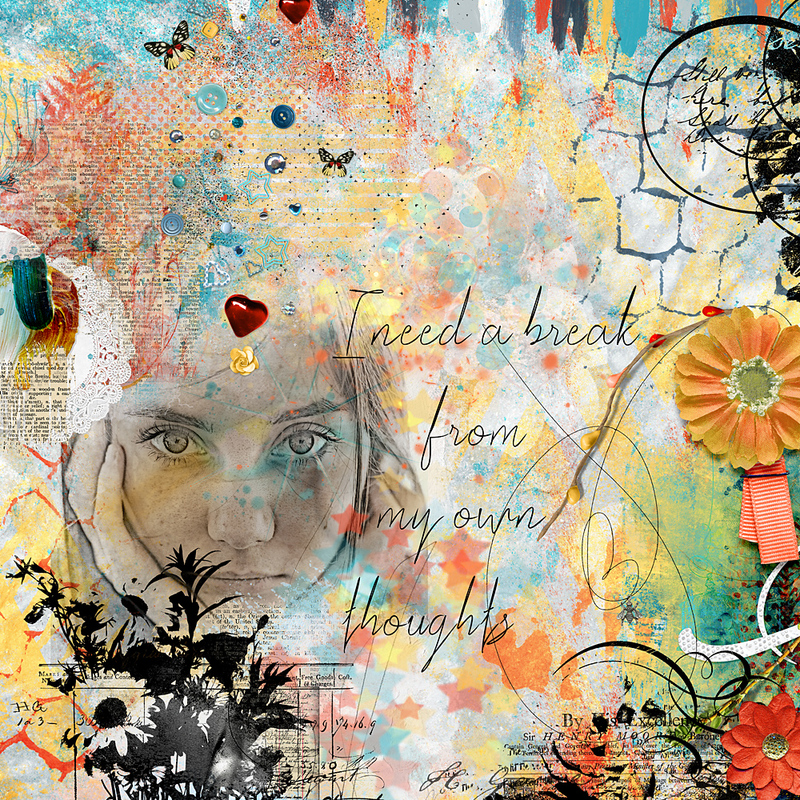 Cindy here sharing a layout from NBK Design artCRUSH No4 collection that is now available at The LilyPad. 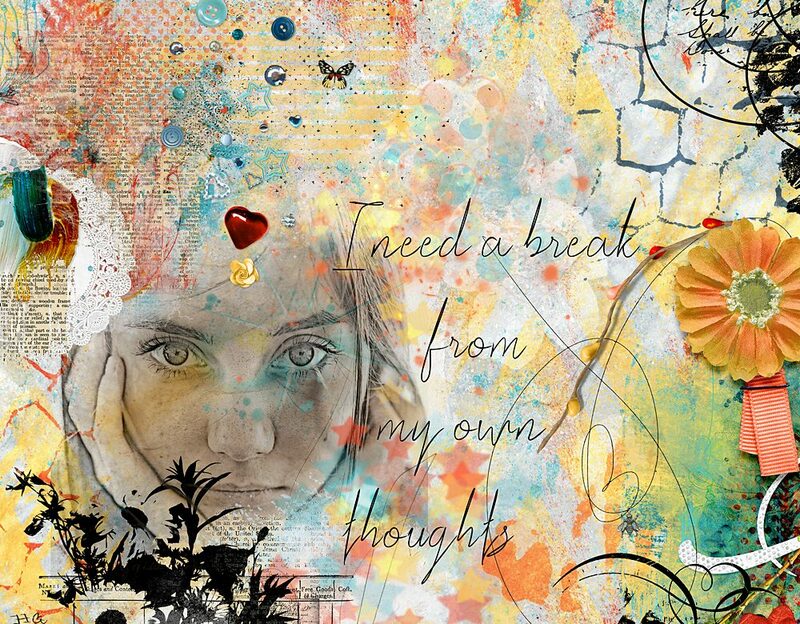 For my page I was inspired by two things: first, the quote “I need a break from my own thoughts”. The other thing that inspired me was something Nicole mentioned on one of her videos “Don’t be afraid to paint over a layer”. Usually I’m careful on where to place paints and elements, because I feel that they will “destroy” the background paper. This time I decided to set me free! I chose an already busy background and started adding layers of paints, artsy bits, magic lights, brushes etc. The result? Busy and messy, just like my thoughts, but at the same time powerful.